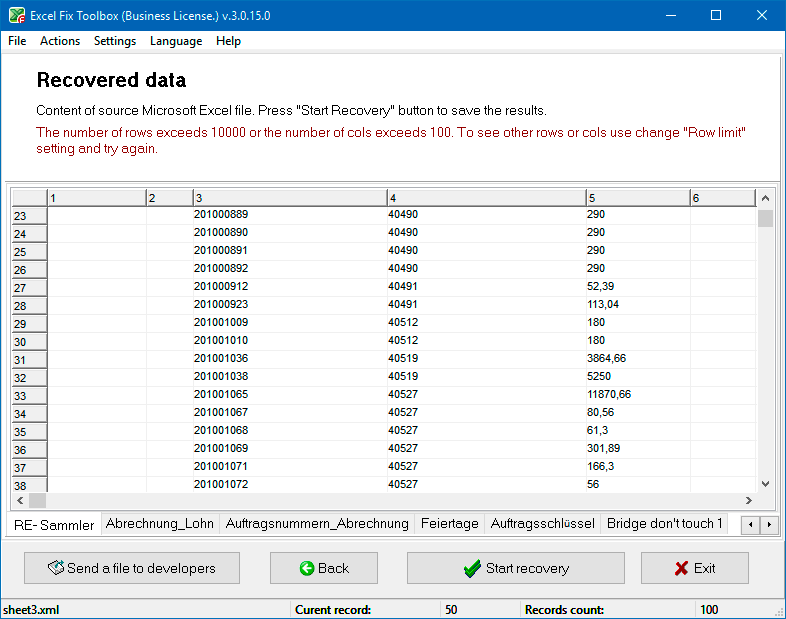 Excel Fix Toolbox is designed to recover damaged information from xls, xslx, xlt, xltx, xlm, and xlmx format files. One of the Microsoft Excel file fix software's key functions is the ability to export recovered information directly to Microsoft Excel, or alternatively to save restored data into new XSLX format documents. Works with data in MS Excel 95, MS Excel 98, MS Excel 2000, MS Excel XP, MS Excel 2003, MS Excel 2007, MS Excel 2010, MS Excel 2013, and MS Excel 2016 formats. Recover styles, fonts, sheets, and cell data. Fix internal and external links. Fix the formats of cell values (fonts, numerical formatting, styles, text orientation, and other parameters). Recover cell and border colors. Recover column widths and cell heights. 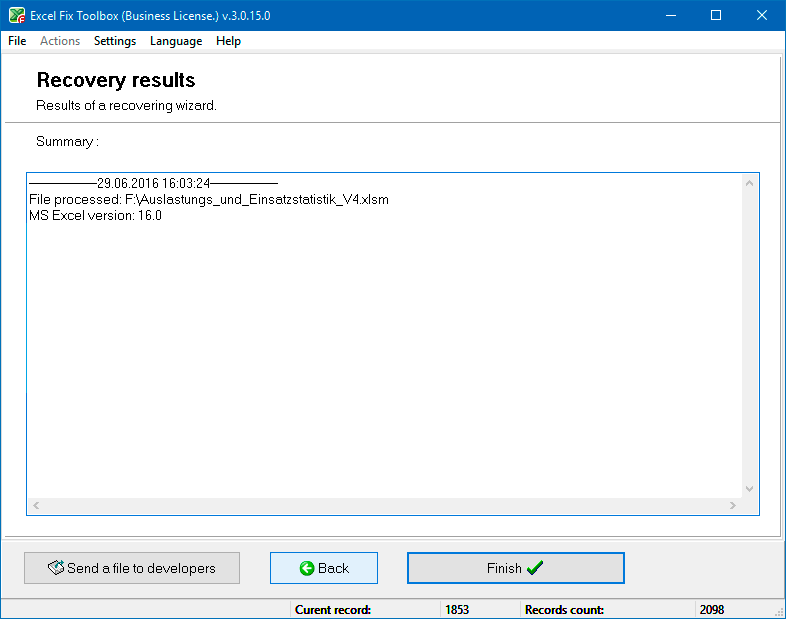 Export the data extracted into a new Excel file. Export the data extracted directly into Microsoft Excel. Simple and intuitive interface for Microsoft Excel fix files software. 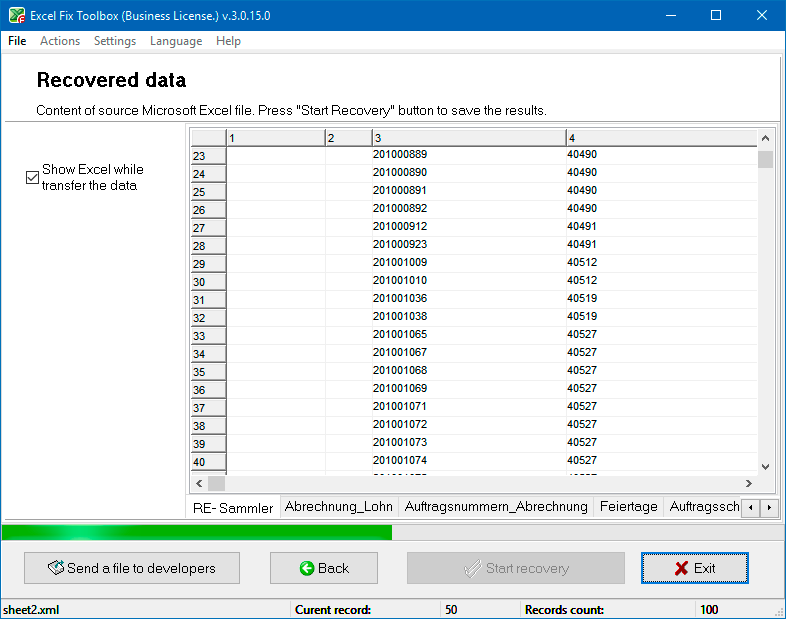 During the recovery process, the XLSX fix tool extracts the maximum possible volume of information and data from Excel, which may include styles, formatting, fonts, formats, functions, etc. 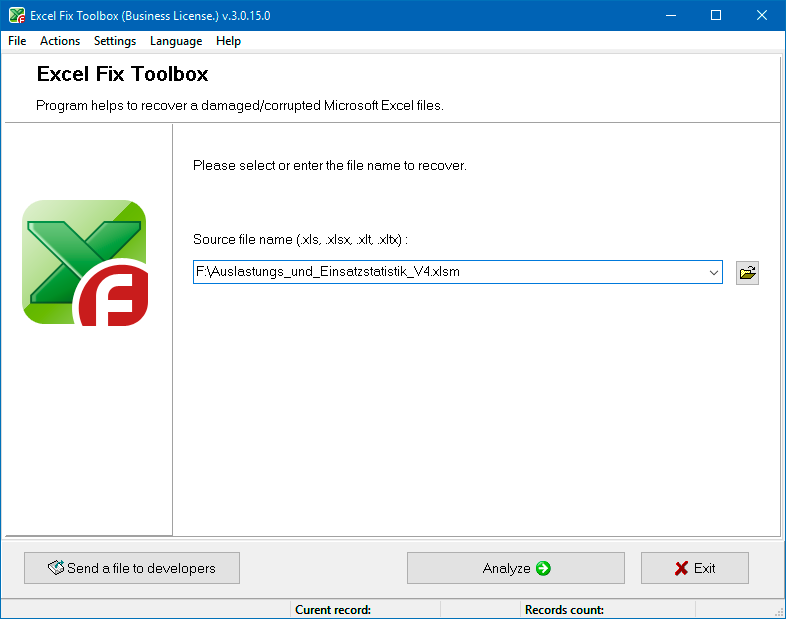 Excel Fix Toolbox helps to fix XLSX files any size and versions. Note: The program is not licensed under GNU General Public License (GPL) or GNU Lesser General Public License (LGPL). Excel Fix Toolbox is not open source software or a freeware tool. 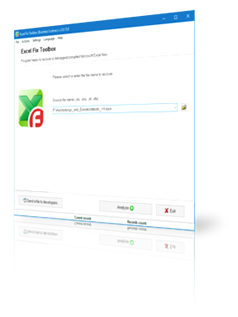 Excel Fix Toolbox is distributed on the try-before-you-buy basis with a free DEMO version. Note: The corrupt Excel file fix utility does not recover encrypted or password-protected Excel files. Selecting a damaged Microsoft Excel worksheet. Viewing the information you have recovered. Exporting the recovered information to Microsoft Excel.